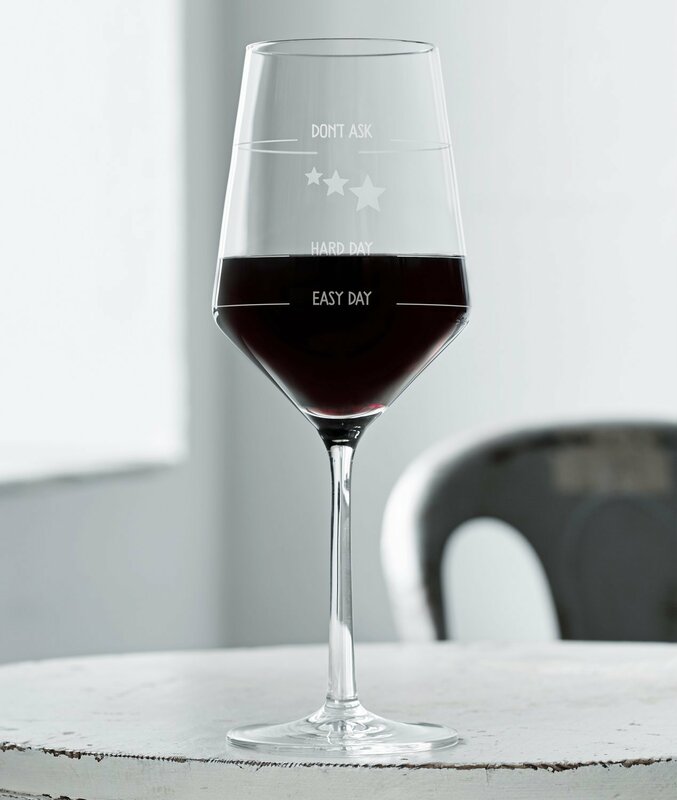 It’s the outcome of a crazy idea: our high-quality version of the "How was your day wine glass"! Based on the Cabernet glass of Schott Zwiesel’s timeless yet elegant PURE series, this wine glass not only offers information about its content. With a wink, the three markers also reveal the answer to the initial question: According to the filling level, they smartly express an "Easy Day" (0,1l), a "Hard Day" (0,2l), or an obvious "Don’t ask" (0,4l). Please understand that we can only offer full boxes consisting of six wine glasses. The unit price amounts to 9.90 Euro (including VAT, excluding shipping).